We are pleased to share the "Deluxe Stroller" from Adora. This stroller is perfect for the "little mommy" in your life! It has an adjustable height handle, shock absorbing wheels, a multi position padded seat and a convertible shade canopy. It also has an adjustable foot rest, and a basket under the stroller. The "Deluxe Stroller" also comes with a removable padded baby bed carrier, and an all purpose diaper bag. 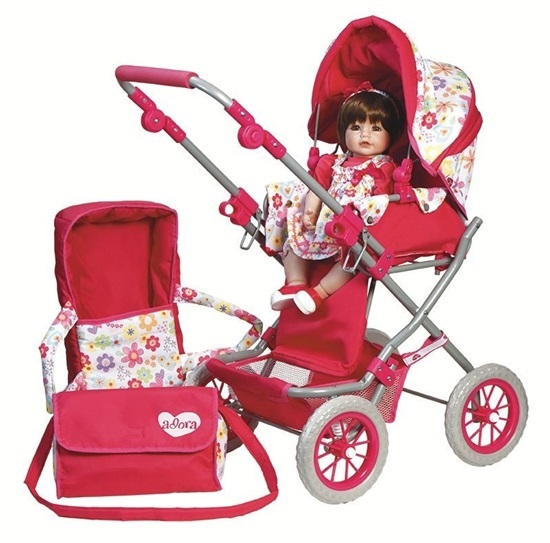 This stroller will fit baby dolls sized from 16-inches to 20-inches such as Nursery Time babies, and Adora Toddler Time babies, plus other baby dolls sized from 16-20 inches. 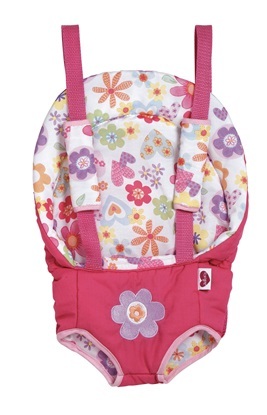 The stroller and accessories are printed in Adora's signature pink and floral fabric. The handle height adjusts from 21 inches to 31 inches. Charlie is So Truly Real at 22 inches long, crafted entirely in silicone vinyl and is anatomically correct.